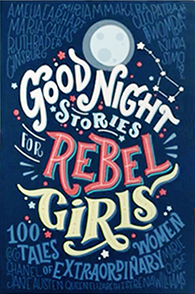 #currentlyreading – Not only are these some amazing stories from incredible women. They were written by women, as well as illustrated by women. From all over the world! I love that the stories are only one page long and that the illustrations are so vibrant. Obviously, it was made for kids, so the stories are easy to follow. Plus, I learn a thing or two when I read the stories. I’m about 20 stories in now and am going to continue reading one every night, so it can last me a while. I don’t have children, but… who cares!? You can’t go wrong with this book for some strong female inspiration (or feeling like a failure for not having accomplished any of what these women have accomplished).